Situated on the shores of a stunning glacial lake and ringed by snow capped mountains, Wanaka is a paradise for the outdoor enthusiast. Whether you’re into snow sports or golf, sailing or rafting, there are activities to suit all tastes and interests. Wanaka is the main gateway to the Mt Aspiring National Park, which is a mecca for trampers and mountaineers alike. It has a network of huts and tracks suitable for a few hours’ walk to serious mountaineering routes. Two large guiding companies are based in Wanaka, Aspiring Guides and Adventure Consultants both of which offer mountaineering courses and guided ascents. 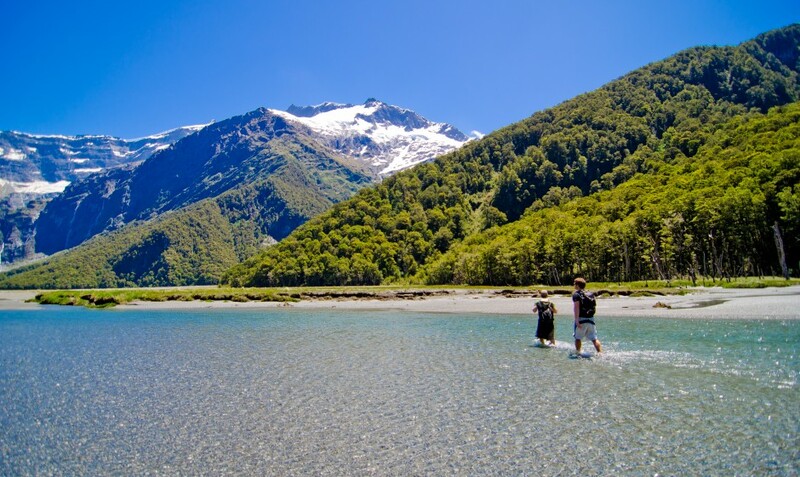 Wild Walks are a local boutique guiding company which offer amazing multiday hiking trips carrying only light packs in the Mt Aspiring National Park. If you would like to take advantage of the superb fly fishing in the area, then Southern Rivers Fly Fishing Guides can show you the best spots. Adrenaline junkies can get their fix from jumping out of a plane at 15000 feet with Skydive Lake Wanaka, or maybe by leaping off the Treble Cone skifield road with Wanaka Paragliding. Wanaka’s dry, sunny climate make it an ideal place for rock climbing, either independently or with local company Wanaka Rock and mountain bikers are more than catered for with a challenging series of purpose-built trails cut into the local forest. If you fancy more sedate activities, then maybe walk over to the Cinema Paradiso to catch a movie. It’s comfortable sofas and home baked cookies at half time are legendary. Perhaps take in a Lord of the Rings tour, or a round of golf at the stunning 18 hole local course. Photos courtesy of Lake Wanaka Tourism. Very clean with great decor, and the best equipped kitchen we had on our trip. The views of the hills and small mountains from our private deck and from several of the rooms was fabulous.